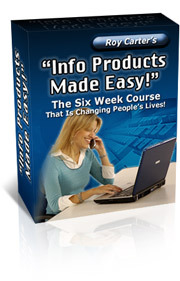 When you have information that other people want, you have a virtual goldmine at your fingertips. Information products line the shelves at bookstores nationwide in the non-fiction section, but they’re permeating the online market and catering to the needs of millions of online consumers hungry for advice and insight at all hours of the night. As a seller of non-fiction information products, you can build an empire of profits targeting a single niche of consumers. Or, branch out and offer solutions to a multitude of people who need guidance. While the print publishing industry only gives authors a small portion of the proceeds after agent and publishing house fees, if you sell information products on the ‘net, you’ll get to charge more and keep almost 100% of the profits for yourself. Typically, a non-fiction book at Barnes and Noble would cost the consumer an average of $9.95 to $29.95. But when you’re selling information products ready for instant download on the ‘net, you get to price it higher, because the selling point usually begins at $37 and rises all the way to the top at a $97 price point. Plus, your overhead costs are low. Even if you outsource the creation of your information product, you’re still able to recoup the investment after a short period of sales. Why are consumers rapidly downloading information products? This is the age of high-tech development. Your readers may be sitting in an airport, accessing your eBook from their laptop. They want information now, not the next business day. If their child is up sick crying from colic at 3:30 in the morning, a mom can’t drive to a bookstore to get a self-help book — but she can log onto her personal computer and download your eBook, putting your advice into action within mere minutes. Another reason information products are hot commodities online is because they often come with ironclad money-back guarantees, giving the consumer an added spoonful of trust. If you create info products for sale yourself, then you want to make sure you produce top-quality deliverables and urge your readers near the end to start taking action with what they’ve learned to keep refund requests low and demand for your products high.